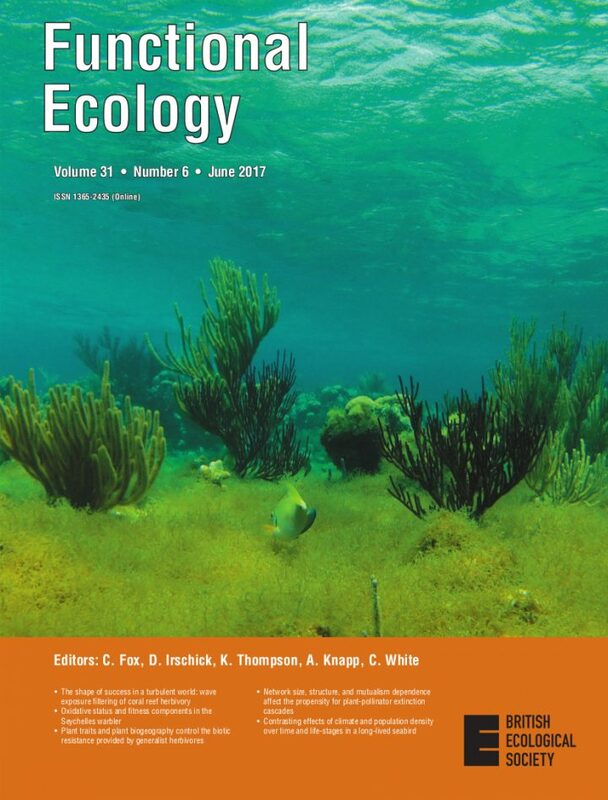 Functional Ecology publishes high-impact papers that enable a mechanistic understanding of ecological pattern and process from the organismic to the ecosystem scale. Because of the multifaceted nature of this challenge, papers can be based on a wide range of approaches. Thus, manuscripts may vary from physiological, genetics, life-history, and behavioural perspectives for organismal studies to community and biogeochemical studies when the goal is to understand ecosystem and larger scale ecological phenomena. We believe that the diverse nature of our journal is a strength and we are open-minded about the variety of data, research approaches and types of studies that we publish. Certain key areas will continue to be emphasized: studies that integrate genomics with ecology, studies that examine how key aspects of physiology (e.g., stress) impact the ecology of animals and plants, or vice versa, and how evolution shapes interactions among function and ecological traits. Functional Ecology's Haldane Early Career Researcher Award is awarded to the best paper in the journal by an early career author.